Unveiled at the Geneva Motor Show 2018, the David Brown Automotive Speedback Silverstone Edition is a classically inspired, luxury and high performance Grand Tourer for the 21st century which takes inspiration from the dawn of the jet age and classic racers from the Sixties. Limited to a run of only 10 production cars, Speedback Silverstone Edition is an example of bespoke British handcraftsmanship at its best. 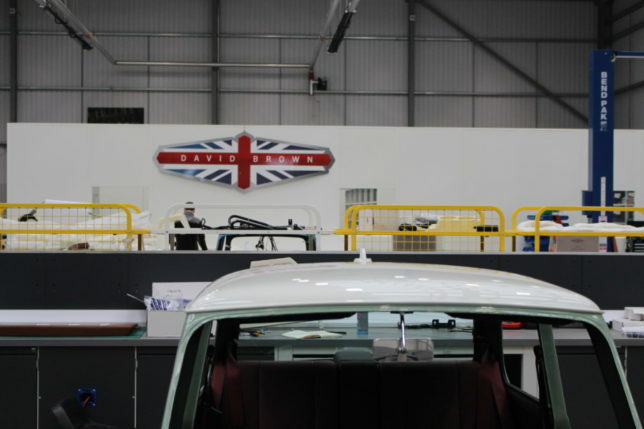 Each model is made in Britain using traditional coachbuilding techniques at David Brown Automotive’s headquarters in Silverstone. 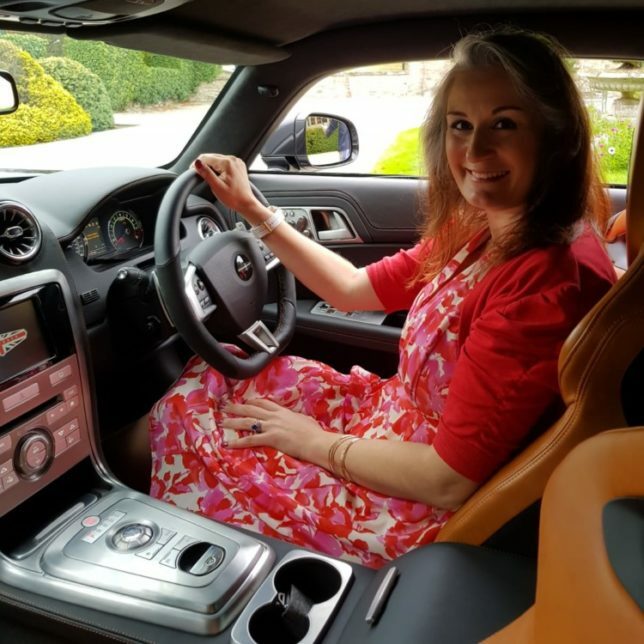 Founding Editor of SLOAN!, celebrity life coach Sloan Sheridan-Williams was privileged to be invited to the build facility for an exclusive tour with a rare chance to get behind the wheel of the Speedback Silverstone Edition driving to Mallory Court Country House Hotel and Spa. Celebrating one year since David Brown Automotive moved to its Silverstone base, the new Speedback Silverstone Edition model is honed for performance, drawing close links to the aeronautical and racing heritage of the celebrated circuit. This inspired celebrity life coach Sloan Sheridan-Williams for her Power Word of the Day on Instagram. 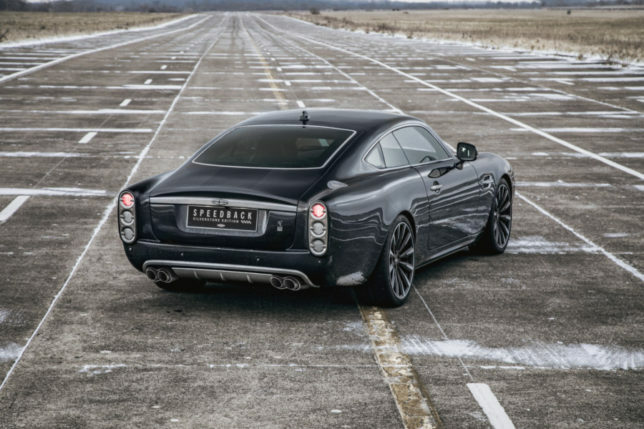 Power Word is SPEED as inspired by David Brown Speedback Silverstone Edition worth £744,000. See link in bio for full report of my day at David Brown head office, Silverstone. 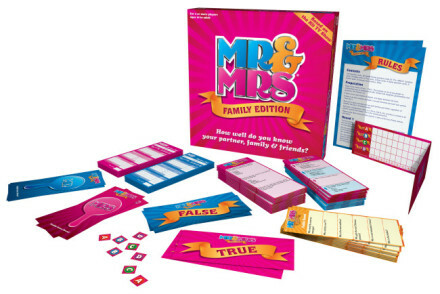 If you would like to see more power words let me know. If you any 4 or 5 letter words you wish me to make into a power word drop me a DM or comment below. Would you be interested in a course on how to be more powerful, focusing on the power of confidence, courage, money, networking, influence and much more. If so comment below. 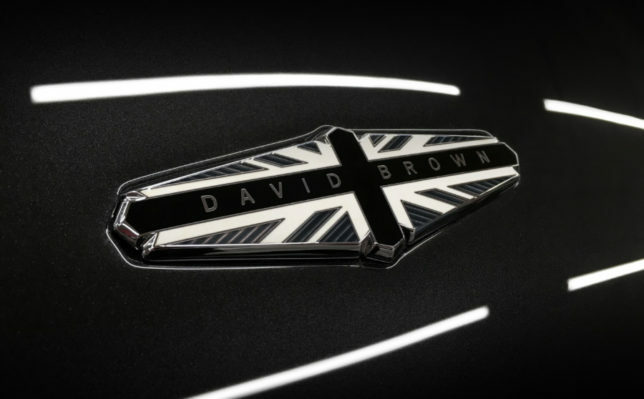 Let’s now take a closer look at the David Brown Speedback Silverstone Edition. 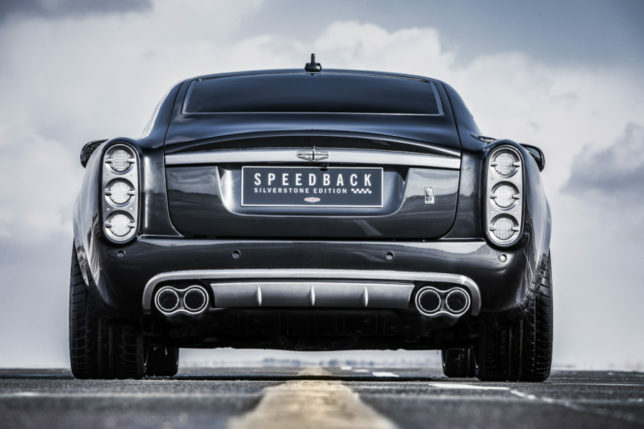 Delivering 601 horsepower with 565ft lb of torque, a 0-60mph time of 4.2 seconds and a limited top speed of 155mph, the 5.0-litre twin-scroll supercharged V8 engine fitted to the new model makes the Speedback Silverstone Edition the most performance orientated car ever produced by David Brown Automotive. 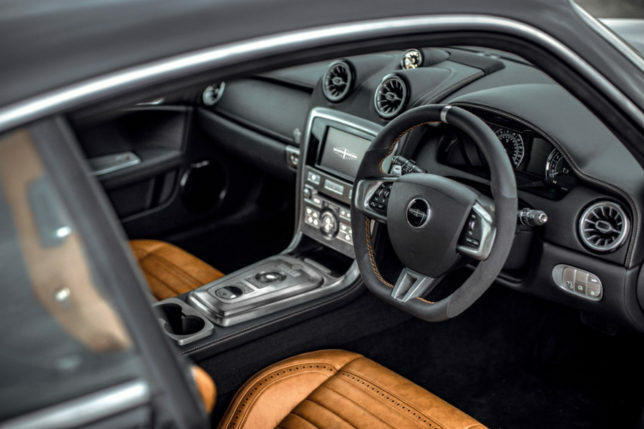 The impressive powertrain of the Speedback Silverstone Edition is mated to a six-speed ZF automatic transmission and drive is delivered through the Grand Tourer’s rear wheels for assured sports handling. Advancing the finely tuned Grand Tourer formula set by Speedback GT, Speedback Silverstone Edition includes an upgraded suspension system for enhanced handling and dynamics, as well as comfort, refinement and cutting-edge technological features for an on-demand, responsive and exhilarating driving experience. 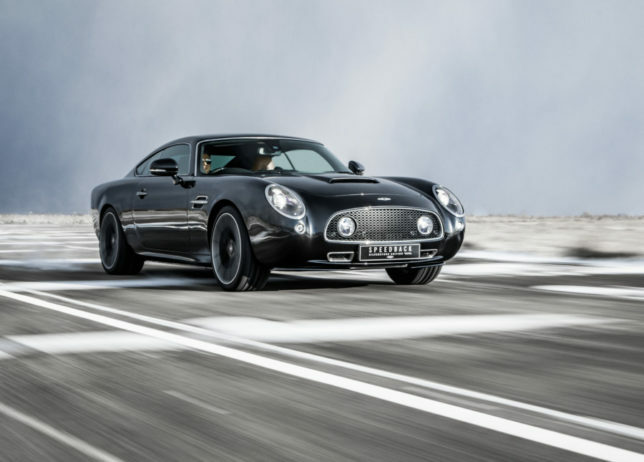 A fully automated Dynamic Stability Control (DSC) system, safety technologies, performance brakes and active rear differential make the Speedback Silverstone Edition a retro-inspired, driving-focused Grand Tourer for the modern age. 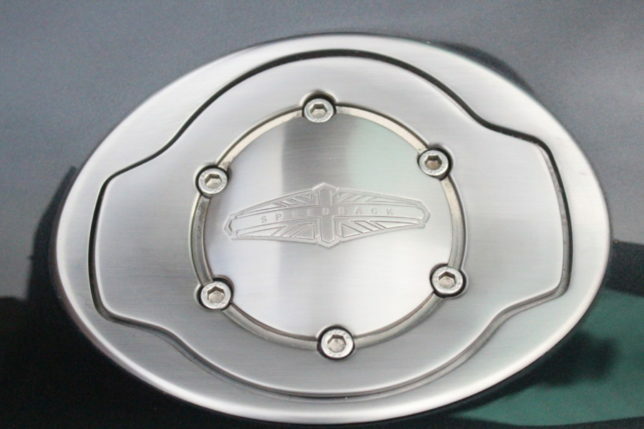 The aeronautical- and classic racing-inspired theme is clear in the visual identity of Speedback Silverstone Edition, building on the unique design language found only in each car handmade by David Brown Automotive. 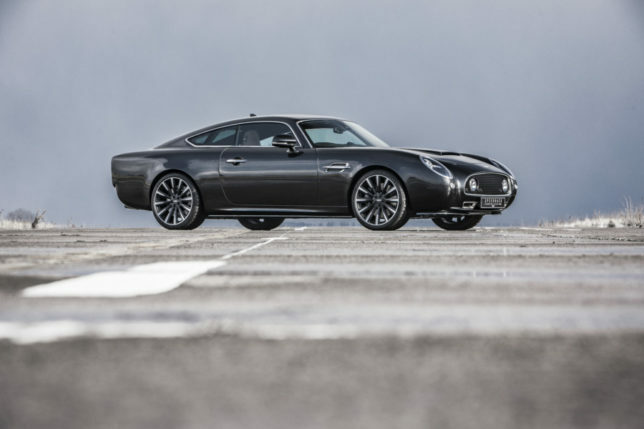 The handcrafted aluminium body is streamlined with extended side skirts, a front spoiler and enhanced rear diffuser, while larger side vents – badged with limited edition Speedback Silverstone Edition details – hint to the performance-enhanced powertrain beneath. Jet-inspired exhaust tips compound the race-tuned engine note and compliment the car’s performance characteristics. Moving around the car – which assumes the sleek profile of a classic racer with its menacing, streamlined stance – the Speedback Silverstone Edition is fitted with unique, forged 20-inch ‘Afterburner’ bespoke designed alloy wheels. A bespoke signature pattern grille is fitted with twin LED auxiliary driving lamps, enhancing visibility and complimenting the dark ceramic LED technical headlamps and clear lens tail lights. Brushed chrome exterior brightware matches the ‘Fly By Night’ multi-layer metallic paintwork, finished with a subtle ‘Black Night’ fading centre stripe. Tinted rear glass and a unique monotone David Brown Automotive die-sunk enamelled, chrome-plated badging complete the aggressively styled exterior theme. 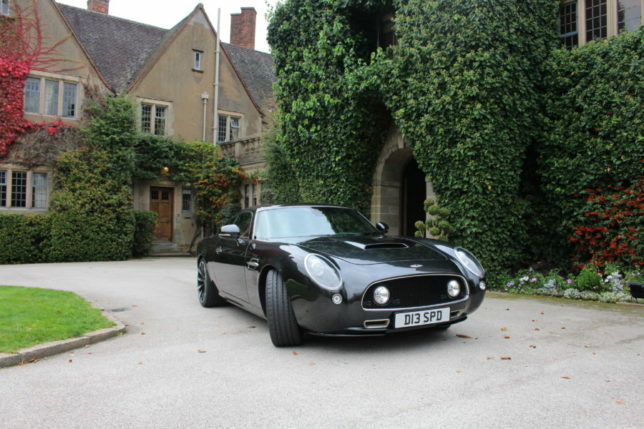 Having taken up the invitation from David Brown Automotive to drive tastefully in the Speedback Silverstone Edition, celebrity life coach Sloan Sheridan-Williams arrives at Mallory Court Country House Hotel and Spa. Like the hotel itself, this £744K supercar elegance and style personified. Inside the cockpit, a Sixties-inspired, exquisitely brogued and embroidered interior trim befits the essence of a performance Grand Tourer. The ‘Antique’ and ‘Ebony’ leather hides are bound by contrasting tan stitching, and the Kvadrat® ‘Remix’ premium fabric further adds to the quality and aeronautical personality within the cabin. 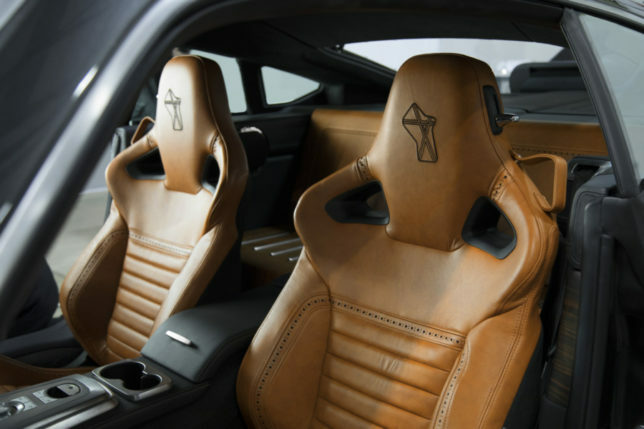 An open-pore, scorched ‘Ebony Macassar’ wood veneer finish fades rearward, with metal inlay completing the dashboard, which features jet-inspired air vents to pay homage to the aeronautical and racing past of the Silverstone Circuit. 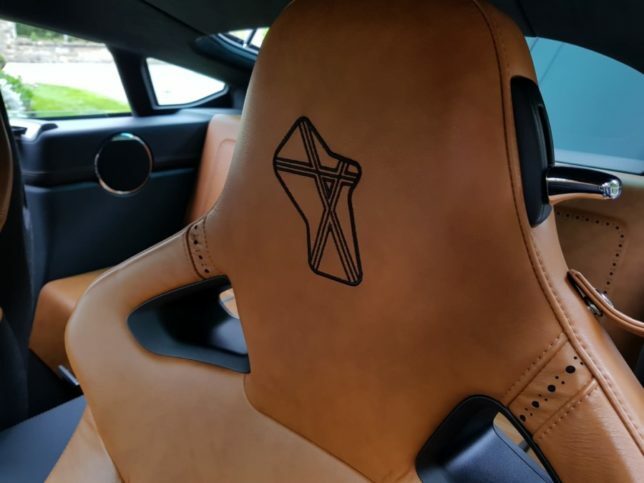 In celebration of their home next to the iconic racing circuit, the sports seats inside the cockpit of the car are adorned with a stylised Silverstone Circuit outline embroidered into the tan leather. 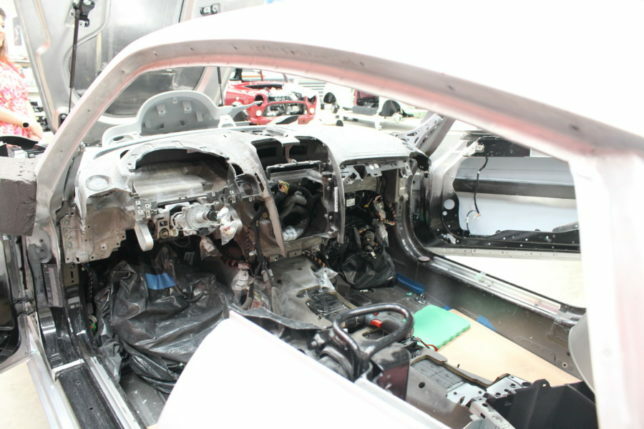 The two-seater configuration – with rear luggage storage space in the place of rear seats – features heated and adjustable sports seats. Like Speedback GT, the folding ‘event seat’ features prominently at the rear of the car with an additional bespoke stowage feature. 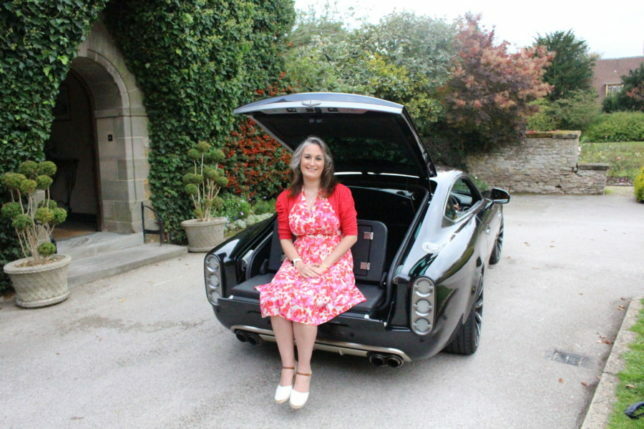 Celebrity life coach Sloan Sheridan-Williams took the opportunity to try out the event seat for herself and loved how David Brown has combined practicality with pleasure. The application of leather and Alcantara® extends to the steering wheel, also fitted with bespoke brushed aluminium switchgear. 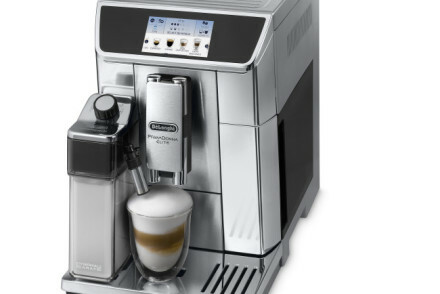 A brushed chrome finish is prominent around the interior. Exclusive aeronautical-inspired speedometer and tachometer dials perpetuate the legacy of Speedback Silverstone Edition. The fully integrated infotainment system is another proponent to position the car as a classically styled, performance Grand Tourer in the modern age. The in-car technology package includes satellite navigation, Bluetooth® connectivity and a 7.1-channel Bowers & Wilkins® surround sound audio system. 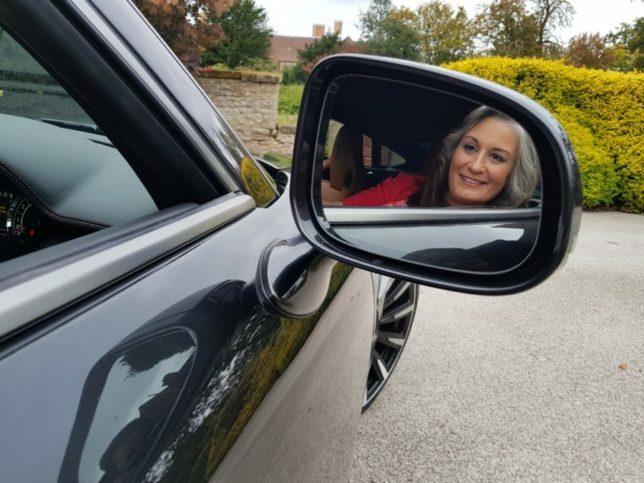 Celebrity life coach Sloan Sheridan-Williams looked right at home behind the wheel as she enjoys her driving experience in the Speedback Silverstone Edition. Built to order, the Speedback Silverstone Edition can be made in either left-hand or right-hand drive. 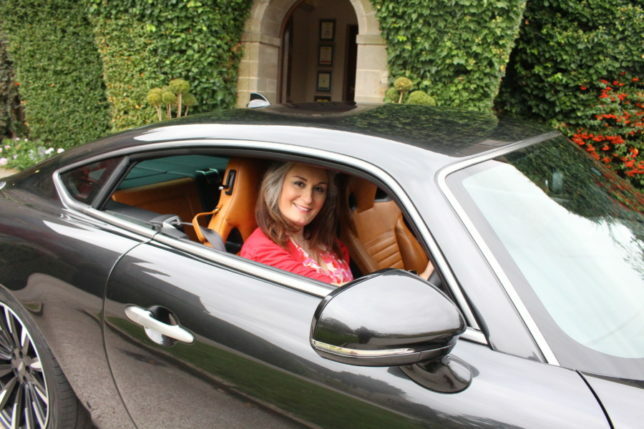 Celebrity life coach Sloan Sheridan-Williams loved driving tastefully in this exclusive handcrafted supercar proudly made in Britain by David Brown Automotive at Silverstone. Speedback Silverstone Edition is priced from £620,000*, alongside the other David Brown Automotive models that are handbuilt at the company’s Silverstone build facility. Speedback GT is priced from £520,000* and the Mini Remastered has a list price of £75,000* (*excluding taxes, duties and shipping).